namesake for the company was Louis Chevrolet, a Swiss born immigrant that arrived in America as an employee of Fiat. He and his brothers, Arthur and Gaston, were talented mechanics as well as drivers. It was the later talent that caught the eye of William Durant, the man who had recently purchased the Buick Motor Car Company. Durant recognized the importance of performance events for the promotion of automobiles and retained the services of Louis Chevrolet as a driver for the company’s newly formed race team. Arthur and Gaston soon joined the team, Buick prospered, and Louis Chevrolet became a household name associated with auto racing. A few years later Durant would launch a little company named General Motors, acquire Oldsmobile, and promote those cars through racing as well. 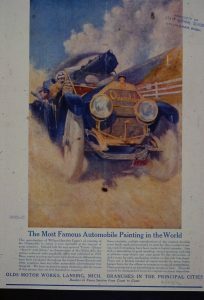 At about the same time, in 1909, some business owners, including the publisher of the Arizona Republican, now the Arizona Republic, placed a few friendly wagers, and promoted a race from Los Angeles, across the desert to Phoenix, to determine which was superior, gasoline or steam powered automobiles. The Desert Classic, dubbed the Cactus Derby, was born. Within a few years the annual races had become a motor sport sensation that garnered international media. The leading drivers of the day enhanced the high profile of the event. The last of these races took place in 1914, and counted among the drivers were Louis Chevrolet and Barney Oldfield. Both drivers drew large crowds as they raced through Needles, Oatman, and Kingman on their way to the finish line in Phoenix. Louis Chevrolet was not the last celebrity to be associated with Oatman or Kingman. 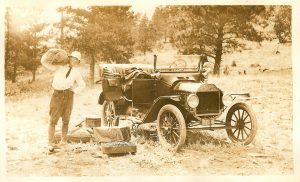 In 1918, Harry Carey, a leading man in the era of silent movies starred in several motion pictures that were filmed in the Kingman area, in Hackberry, and on the ranch of Tap Duncan. 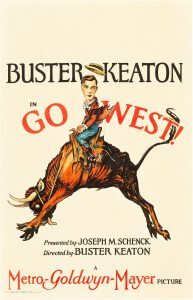 in 1925, Buster Keaton set up his headquarters at the Beale Hotel in Kingman, and filmed most of Go West at Tap Duncan’s Diamond Ranch. The Beale Hotel at that time was owned by Tom Devine, the father of character actor Andy Devine. In 1956, during an episode of This Is Your Life, Front Street in Kingman, Route 66, was renamed Andy Devine Avenue. On at least one occasion Andy Devine came home to visit family and brought his friend Will Rogers, the man who introduced him to his wife Dorothy. Today the Beale Hotel is a forlorn relic. There was a time, however, when it figured prominently as a social hub in Kingman. In 1928, pioneer aviator Charles Lindbergh became a frequent guest during construction of the Kingman terminal and airfield for Transcontinental Air Transport, one of the nations first passenger airlines. Another celebrity, Amelia Earhart, stayed at the hotel during opening ceremonies for the airfield. And of course the biggest celebrity association with the Kingman area has to be the wedding of Clark Gable and Carol Lombard in March 1939. After a brief ceremony at the Methodist Episcopal Church there was brief reception at the Brunswick Hotel, the hotel where Edsel Ford stayed on July 16, 1916. There is a persistent legend that the famous couple spent their honeymoon night in Oatman at the Durlin Hotel, and they may have. However, their stay would have been short as they married late in the afternoon in Kingman, and were in Los Angeles early the next morning for a press conference. 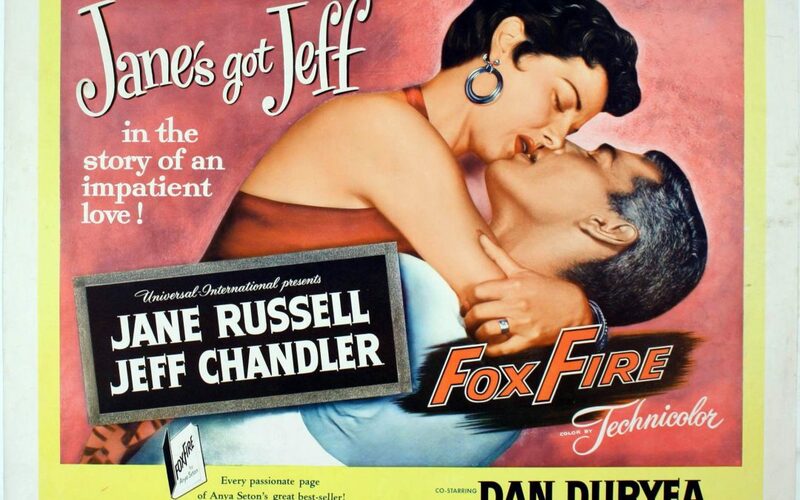 Kingman, and the surrounding area has a rich and colorful celebrity history that includes the filming of major motion pictures such as Fox Fire. The Mohave Museum of History & Arts on Beale Street in Kingman preserves many artifacts from the numerous movies filmed here, and has a special collection of Andy Devine memorabilia.